I have to admit, we almost didn’t purchase today’s Thrift Treasure feature. 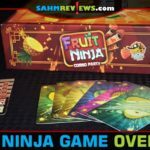 When we first spotted Leverage by Milton Bradley, it instantly reminded us of the last Thrift Treasure of 2017 – Yali. 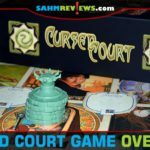 Both are designed for two players and both utilize a board that rocks back and forth. Was one just a reprint/knockoff of the other? Since it was under $2 at our local Goodwill, we decided to take a chance anyhow. And we’re very glad we did. While we did like Yali for its upgraded metal components, the game play was only mediocre. Not bad per se, but not something we’ll grab off the shelf very often. 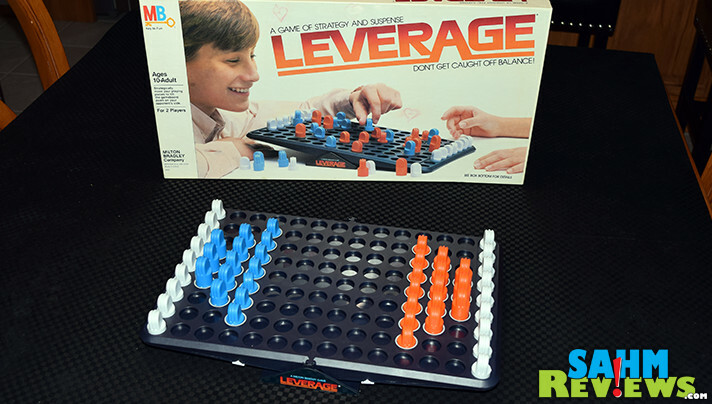 I don’t see that being the case with Leverage by Milton Bradley. While the components are more cheaply made (plastic), the complexity and strategy needed to be successful more than makes up for any production shortcomings. Setting up the board takes a little bit longer than Yali since the pieces are removed from plastic sprues. This means that one side might weigh just a little bit more than the other, giving that player a disadvantage. 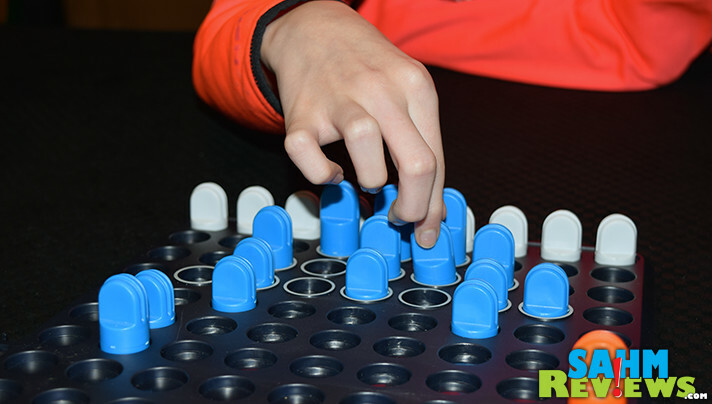 Included are two small plastic pins that are attached to the side of the game board and are slid up/down the length of the board until both sides are exactly even. 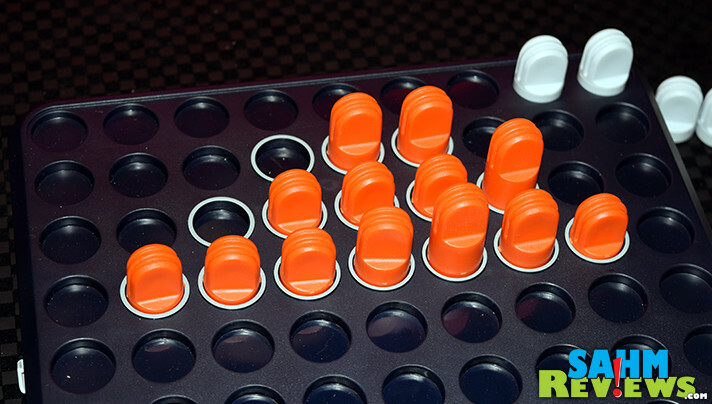 Each player receives nine white scoring pegs along with fifteen matching colored playing pieces of three different sizes. These are set up in the designated safe zone (starting area) with rings around the spaces on the board. Small pieces in front, mediums in the middle and the three large pieces in the back. On your turn you simply choose any one of your pieces to move one space forward, back, sideways or diagonally. You can also jump your own pieces as long as there is a free space immediately on the other side. 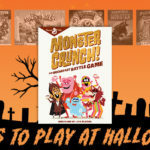 You are trying to get the board to tilt towards your opponent, forcing them to lose a point. 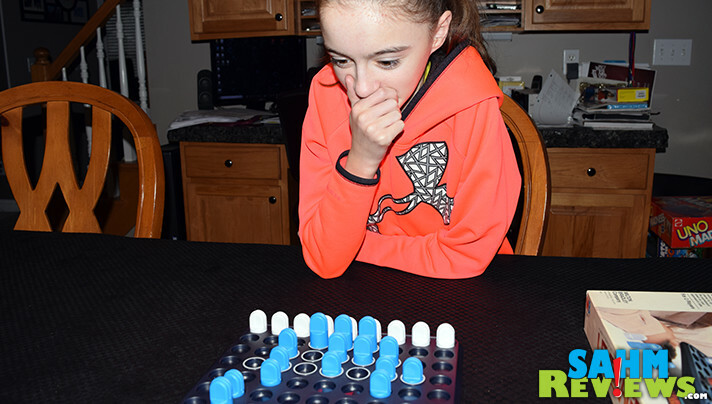 When the board tilts, that player gets a chance of rebalancing the board back to center. If it still falls towards them, they remove one of their white pegs from their side of the board. This should put things back into balance, but if not, they repeat the process and remove another peg until it does move back to even. 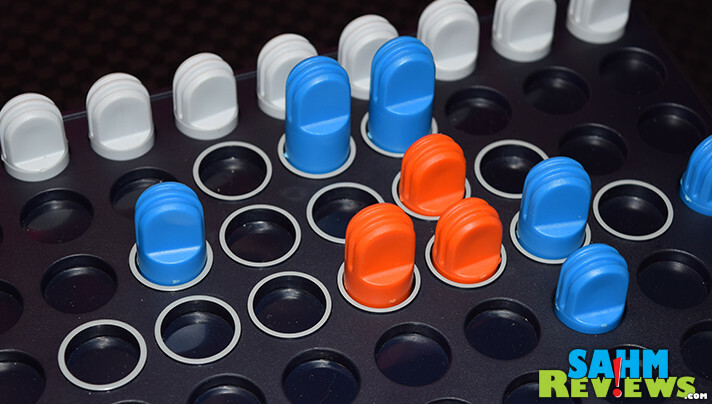 Jumping your opponent’s pieces is another method of changing the balance of the game. Small pieces may jump and capture medium and large pieces, as can medium pieces. Large pieces can jump, but cannot capture anything. Small pieces can never be captured. 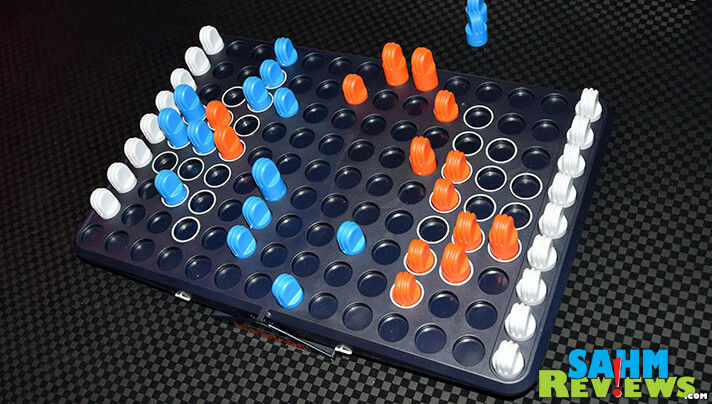 When jumping, you may change direction and even return to your starting spot as long as the pieces on the board allows (you remove any jumped pieces immediately when jumped). While you’re in your safe zone (starting area) or get your piece into the opponent’s safe zone, they cannot be captured. They may still be jumped over, and you can also move them out of the safe zone if you spot an opportunity to capture your opponent, but in general they are completely safe if in one of these two areas. 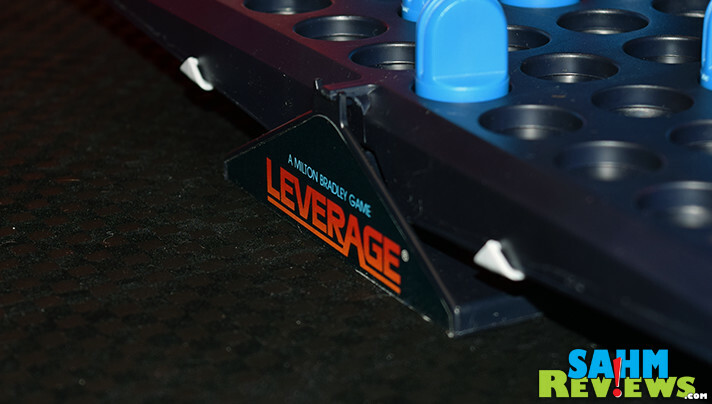 Leverage ends when either one player runs out of their white scoring pegs and the board still tilts their way or one person gets all of their remaining pieces into an opponent’s safe zone AND has an equal or greater number of scoring pegs on their side. 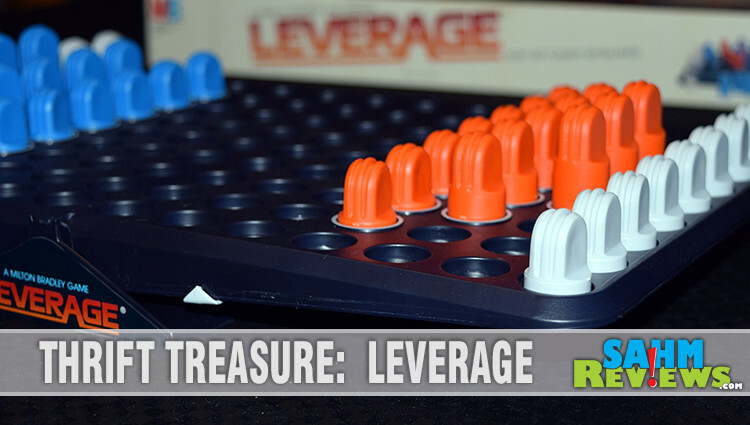 If you’re in the market for a game that teaches about balance and leverage with a good dose of strategy, choose Leverage over Yali. While it’s not currently in publication, copies are readily available on eBay for around $15. Of course you can also keep an eye out at your local thrift store for used copies. Make sure you count the pieces as replacements are hard to find, and don’t forget the two tiny balancing clips! They’re super easy to lose and irreplaceable! Which of the two games (Yali or Leverage) looks best to you? This looks like something my son would like! Makes for a great family fun night! Thrift Treasure Leverage seems like a fun board games for kids. My nephews and niece will enjoy it. I want to join too! There is nothing more pleasing than finding a perfect piece at a thrift store. 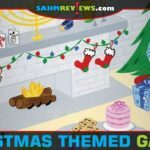 This looks like fun for all the family!